The rumors say that the Cursed Vaults are five vaults at Hogwarts, the famous school of magic and sorcery. To find the origin of these vaults we have to travel back to the times before the school was founded, just like with the rest of magical elements, and there are several different theories about the latter, such as the possibility that they were placed there by the founders of Hogwarts or that a school director had a mental disease that led him to build them. Vault of Ice: which is located on a wall at the end of the Vanished Stairs, on the fifth floor. 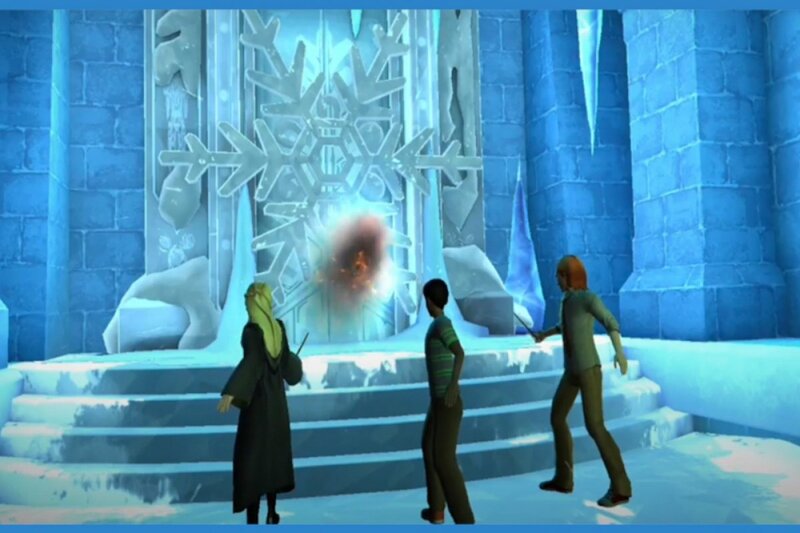 The magic door was covered with cursed ice that attacked with a bolt of lightning anyone who tried to cast a spell to produce fire. A knight of ice was the last defense of the vault. This vault appeared after the cursed ice, contained safely within a locked room, was released threatening the entire school. Vault of Fear: it’s a vault that plays with fears of people. It’s related to the boggarts, beings capable of changing their form to become whatever the person in front of them fears the most. It was investigated by a pupil called Jacob who was expelled for putting the entire school at risk during this process. The Cursed Vaults are one of the main plots of the game’s storyline as they are one of the mysteries on which the story is based.